The Plaza de la Constitución in St. Augustine. The disputed memorial memorializes an area soldier who served and died in the Confederate Army during the Civil War. During a meeting on Aug. 28, the commission heard over four hours of public comment regarding the memorial. At the conclusion of the meeting, and after discussion among themselves, commissioners asked City Manager John Regan to conduct research into the topic and then return with options and a recommendation of specific action. Regan is expected to report back to the commission at Monday’s meeting and offer a comprehensive presentation and a recommendation. 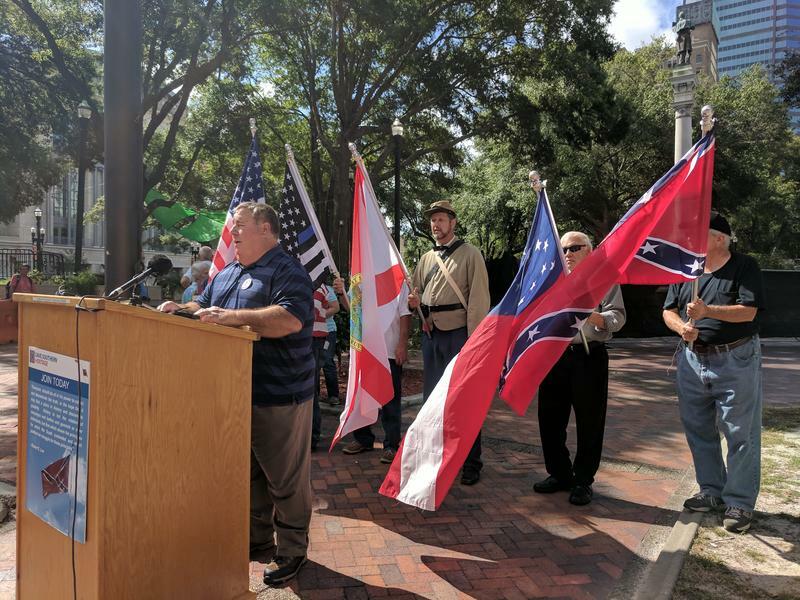 The presentation is expected to offer background on the memorial’s history, its context with other Civil War-related recognitions in Florida and nationwide and recount the city’s ongoing effort to tell its entire history. The recommendation will be to allow the memorial to remain in place but to add contextualization that will be guided by a commission-appointed advisory committee. There were two options that are not being recommended by staff. The first would be to do nothing, and, as stated in a press releases by the city, “miss an opportunity to tell the city’s complete history.” The other option was to relocate the memorial, which the city said would raise a number of challenges, including how to move it without physically destroying it, the cost of the project and who would pay for it, and identifying a place for relocation. The agenda for Monday’s meeting and the backup material, including Regan’s presentation, are available from the home page story at www.CityStAug.com. Monday’s meeting is scheduled to begin at 5 p.m. in The Alcazar Room, City Hall, 75 King St. The meeting will be carried live on GTV as well as online at www.CityStAugTV.com, where it is also available on-demand Tuesday. According to the commission, Regan’s presentation won’t happen before 7:15 p.m. The commission said that will allow it to work through its regular agenda, recess briefly at 7 p.m. when overflow seating will be set up, then resume the meeting at 7:15 p.m. with the regular agenda, including Regan’s presentation. Based on the level of interest in the matter, and the participation of the previous meeting, overflow seating will be available in the loggia off the City Hall courtyard after 7 p.m. to accommodate the hours of the Dressing Downton exhibit. Those arriving after The Alcazar Room has reached capacity may fill out a comment card, but there will be no overflow seating until after 7 p.m. There have been some reports that there are two Confederate memorials being discussed at Monday’s meeting. The city released a statement Thursday, clarifying the misunderstanding. According to the city, a second Civil War memorial, honoring William Wing Loring, is nearby at the corner of Cordova and King streets, but is not in the Plaza de la Constitución. The memorial is located in what is traditionally referred to as the West Garden or Loring Park and is not under the of the city's jurisdiction. Updated on Monday, 08/14 at 5 p.m. to include comments from local activists, council members. 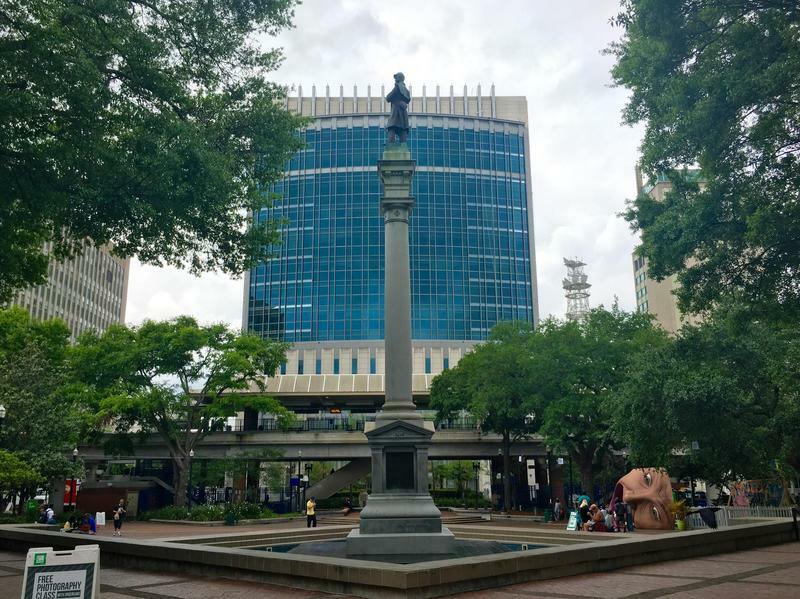 Jacksonville City Council President Anna Lopez-Brosche is calling for the city’s Confederate statues, memorials and monuments to be moved off of public property and into museums or other educational facilities. Should Northeast Florida's Confederate Monuments Be Taken Down? After last month's shooting at a historic black church in Charleston, South Carolina, there has been a national outcry to take down the Confederate flag and to take down monuments and memorials to the Confederate States of America. What do you think? 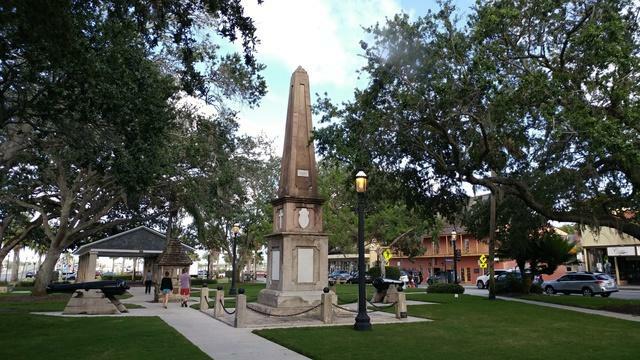 Should Northeast Florida's Confederate memorials be taken down? Or is that going too far? 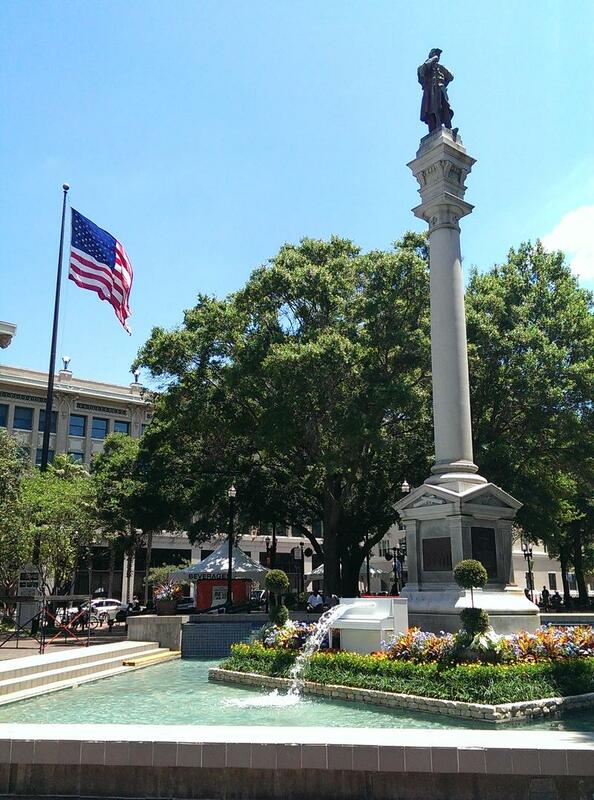 A group called Save Southern Heritage is asking the Jacksonville City Council to put the question of whether to remove Confederate monuments up for a public vote. The group said city residents overwhelmingly oppose moving the monuments to museums, according to a poll it commissioned.